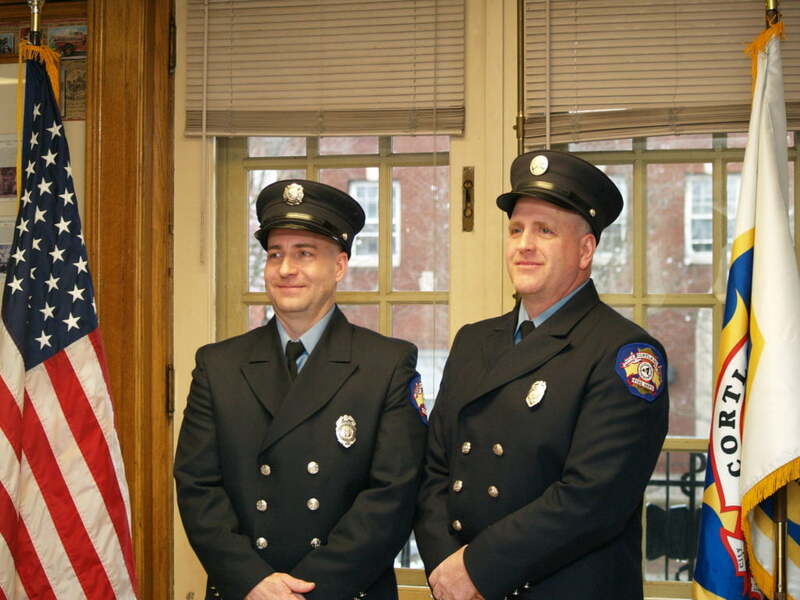 CORTLAND, N.Y. — The Cortland Fire Department recognized two of its members in a ceremony Friday morning at station headquarters. 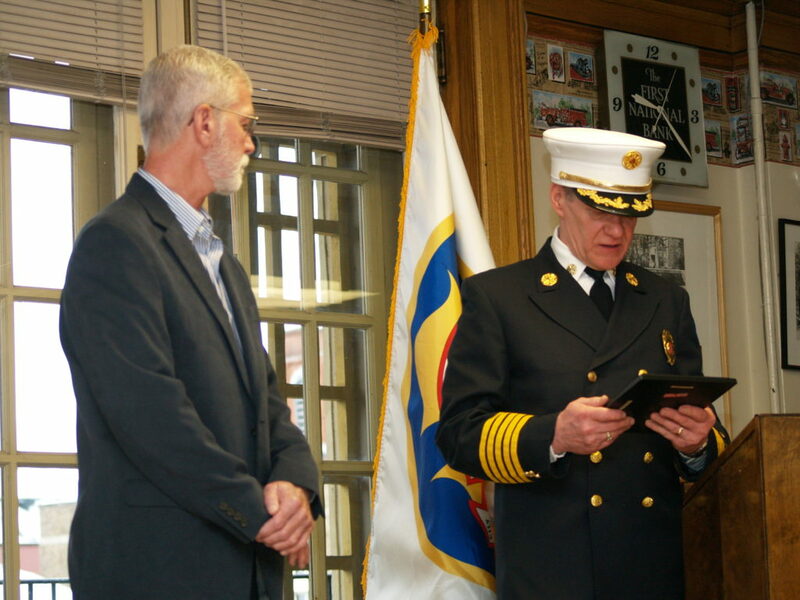 Captain Michael Ondrako, who was hired by the City of Cortland Fire Department on August 15, 1983, as a firefighter, was given a certificate of recognition for his 34 years serving the department. Ondrako was among the first firefighters trained as an Emergency Medical Technician for the Cortland Fire Department. He was promoted to the rank of fire captain on May 18, 2001, and served with the department for 34 years until his retirement on January 26, 2018. 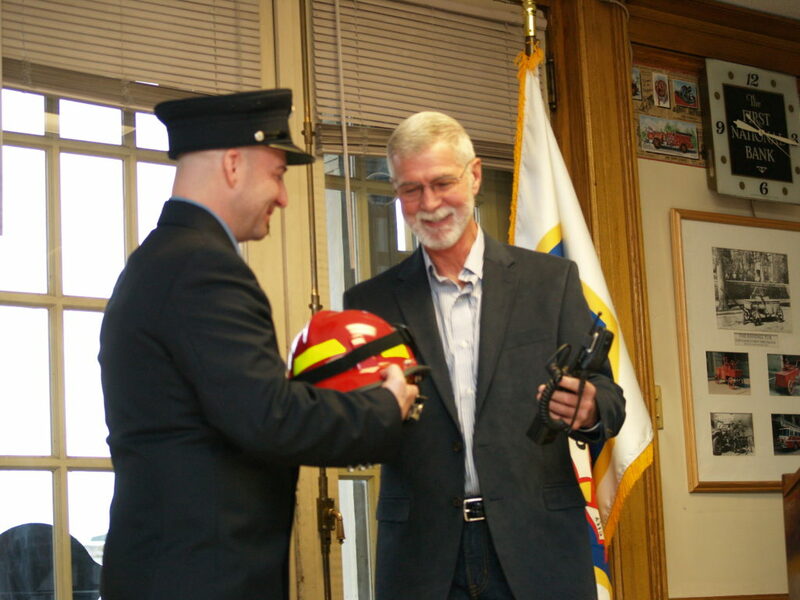 During Friday morning's ceremony, the fire department announced a promotion for a firefighter who has served with the department for 13 years. James Zelsnack was hired by the City of Cortland Fire Department in February 2005 as a firefighter and medic. 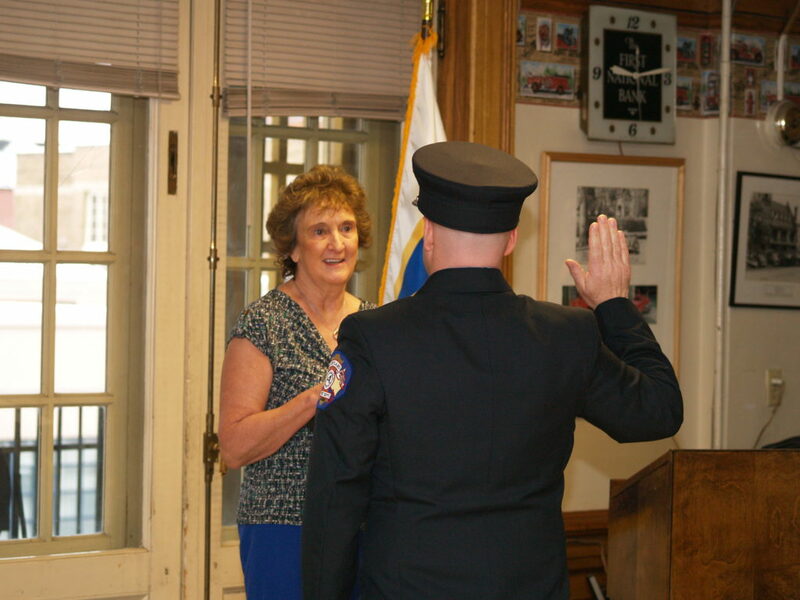 He had previously served at those positions with the Tully Fire Department. Raised in Marathon, N.Y., Zelsnack has also been a member of the Marathon Fire Department and Marathon Volunteer Ambulance. Attending the ceremony were Zelsnack's daughter, Autumn, parents Steve and Joyce Zelsnack, and his significant other Connie and their children Madison, Lexi, and John Paul. Joyce Nadge performing the swearing-in ceremony.